Sail along the picturesque shore of San Diego from Coronado Island. 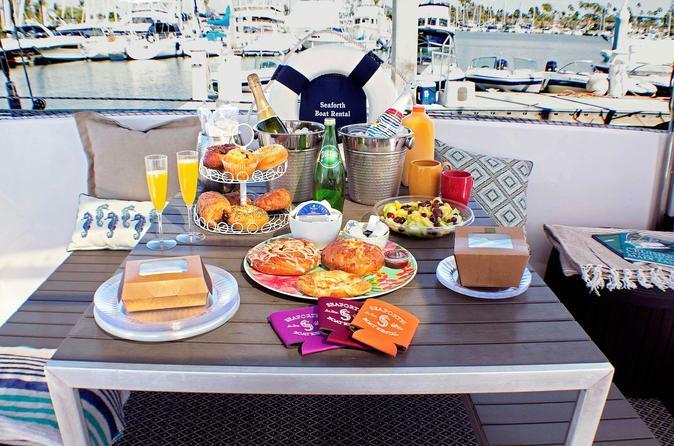 Enjoy the quiet luxury of your own 37-foot (11 meter) catamaran for a couple hours, complete with a continental breakfast and champagne to toast your fun. The captain will do all the work so you can lap up the sun on the spacious deck or relax on the hammock style bench.